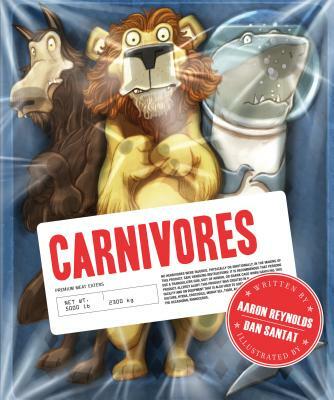 One of my favorite works from 2013 was this one: Carnivores, written by Aaron Reynolds and illustrated by Dan Santat. The premise is that "even SAVAGE CARNIVORES get their feelings hurt." Whether it's the sensitive lion worried about the gazelles' whispers, or the wolf's really unearned reputation for eating little girls, the carnivores come together in a sort of group therapy.